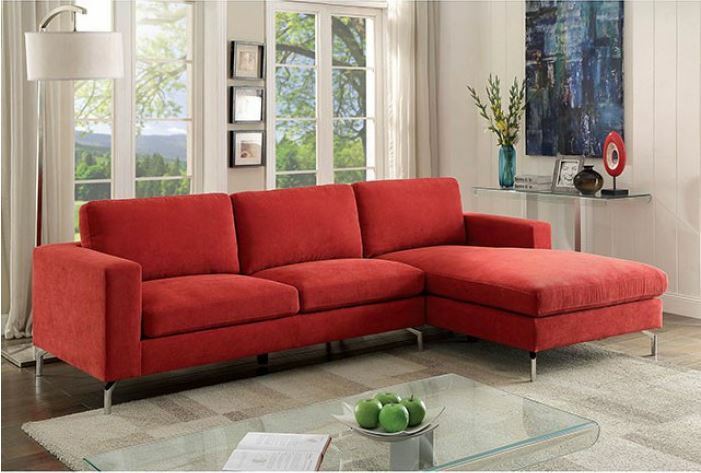 Flirty red tones with striking chrome legs create a sectional that leaves a vibrant and lively impression in any home. This L-shaped sectional is perfect for a home in need of a makeover. Upholstered in bright red flannelette fabric, this sectional is sure to create a cheerful, lighthearted atmosphere!